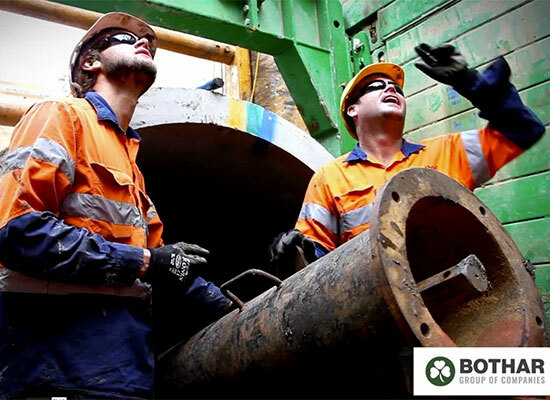 Bothar Group of Companies ("Group") is an international contractor with over 25 years of cutting edge experience, and comprises of three separate organisations; Bothar Boring, Coleman Microtunnelling and IPC (Innovative Pipeline Crossings Inc.). Within the tunnelling contracting industry, the Group has an enviable track record, a minimal environmental footprint and a highly skilled and diverse capability range. Offerings include shaft construction, microtunnelling, TBM, Auger Boring, Direct Pipe, HDD, Bothar Crane Hire and Bothar Built tunnelling machines. The Group has offices in Australia, New Zealand, Canada, Singapore, Qatar, Oman, Dubai, Kuwait, South Africa, UK and Ireland and Ghana, with the capabilities of expansion into other geographical areas.